worldwide. Other markets around the world have followed or are soon to follow the lead. In the past, patients would consult their audiologist for the type, style, and technology of hearing instruments, obtaining rehabilitative expertise for their use, purchase their amplification products, and return for follow up treatment. Recently, there has been a push, particularly on the part of hearing aid manufacturers and large retail centers,for commoditization of amplification products. on price. In a flat hearing aid market worldwide, it seems that the method of choice for growing the number of hearing instruments used is through commoditization of these products. The concept that “any hearing instrument is going to provide the same benefit as another so consumers should find the devices as cheap as possible”, seems to prevail. So, the message is buy it online, on late night TV, from the radio, a magazine, COSTCO, Sam’s Club, and other international discount stores. In the US, audiology has made great strides to educate audiologists to the doctoral level, and in other countries audiologists and hearing aid dispensers have also substantially increased their formal education, training, apprenticeships and other background to provide a better rehabilitative experience for the hearing impaired patient. The worldwide increase in audiological expertise notwithstanding, it appears that hearing aid manufacturers, holding companies, and other profit seeking major corporations have now seen hearing and its rehabilitation as a lucrative business opportunity. Plain and Simple…It is a Business Opportunity. it’s only the sale of the product that matters. and the incidence of hearing loss among those that are 60 -74 (roughly 30%) nd among those 75+ the incidence is over 50%. Simple mathematics calculate a huge projected market over the next 35-40 years factoring in the aging of the worlds population. Additionally most of the hearing impairment that is seen world wide is much easier to treat with today’s amplification products that in years past, suggesting to these corporate executives that technology and minimal expertise can fit a majority of the products sold leaving out the rehabilitative process. the Big Box stores have taken a large share of the market, Bernstein (2013) reported the rapid growth of manufacturer-owned retail stores. In 2013, Sonova owned more than 2000 retail outlets, about four times as many as in 2003, that is the addition of about 150 stores per year. William Demant had a little over 1200 stores in 2013, triple its number in 2003, that’s about 80 stores per year. GN ReSound’s holdings of somewhat over 1500 stores are up about 35% from a decade ago, adding about 50 stores per year. Where does this trend leave us? impairment, we will need to be creative using all our ingenuity to survive in these highly competitive markets. 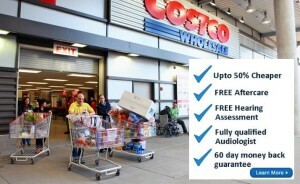 This will require excellence in customer service, expertise in hearing and its rehabilitation as well as the use of sound business techniques. These changes are not simply in one of the world markets such as the US or Europe – it is a global change focusing on sales and not necessarily on benefit and use of the products. If your market has not changed in your part of the world, brace yourself: the changes are on the way! Bisgaard, N. (2013). Current approaches to hearing healthcare delivery: International perspective. GN Resound. Retrieved March 8, 2016. Gupta, V. (2013). 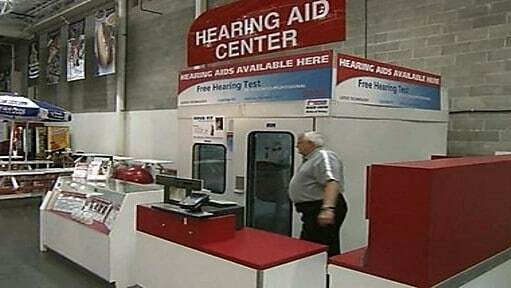 Global hearing aid market report : 2013 Edition. Koncept Analyitics. Retrieved March 8, 2016. Kirkwood, D., (2013). Research firm analyzes market share, retail activity, and prospects of major hearing aid manufacturers. Hearing Health and Technology Matters. Retrieved March 7, 2016. Staab, W. (2014). Hearing Aid Market Penetration. Hearing Health and Technology Matters. Retrieved March 8, 2016. Artica (2016). Retail Design Blog. Retrieved March 8, 2016. Majors, L. (2014). The Bionic Hearing aid. Hearing Assist LLC. Retrieved March 8, 2016. Signal (2016). Wave Issue 8, Summer 2015: Leave no one behind. Retrieved March 8, 2016. Steinkirchner, S. (2012). 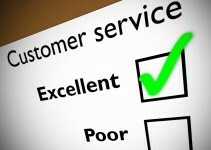 5 ways to improve your customer service. Forbes. Retrieved March 8, 2016. Previous Post Was the REAL “Father of Rock ‘n Roll” Hearing Impaired?